Édith Cresson (born January 27, 1934 as Édith Campion in Boulogne-Billancourt, near Paris) is a French politician. She was the first woman to hold the office of Prime Minister of France. After studies at a business school, Cresson joined the Socialist Party in 1965, served as mayor of Thure in 1975, and then was selected as the first French female agriculture minister in 1981. She assumed several governmental positions before being appointed France's first woman prime minister in 1991 under the Mitterrand presidency. Always an outspoken, frequently controversial figure, her public support eroded and she resigned in 1992. In 1995, Cresson became a member of the European Commission, but was forced to resign in 1999 together with all her fellow commissioners, under allegations of mis-administration. Charges of corruption against her and several former staff members came in 2003. Cresson had had the rare opportunity to serve her nation and the wider European community in a wide variety of posts. However, her name will be forever linked to graft and corruption. Her offensive public comments about French minorities and failure to enact much-needed social programs while serving as prime minister, as well as missing money and the blatant favoritism she showed a friend during her tenure as European Commissioner, have done much to blight her historic achievement as France's first woman prime minister. Most recently, Cresson is a member of the Council of Women World Leaders, which focuses on critical women's issues and equitable development. Public service is a privilege that carries with it the responsibility to serve with honesty, integrity and a commitment to the highest standards of ethical conduct. Women who lead the way into high office for the first time build a bridge for others to follow. It is regrettable if the pioneer's record is less than impeccable. Cresson (birth name: Édith Campion) was born in the upscale Paris suburb of Boulogne-Billancourt on January 27, 1934. Her father was a senior civil servant. She learned to speak fluent English from the nanny who raised her. After earning a business degree from the School of Advanced Commercial Studies, Creson later earned a doctorate in demography. 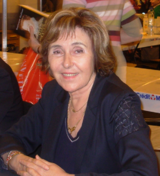 After a successful business career, Cresson, avoiding the typical, Parisian left-wing student groups, entered politics in 1965 when she met François Mitterrand. Over the following 26 years, the future French president assisted Cresson in rising through the ranks of what became the French Socialist Party, which she joined in 1971. Promoted to the Socialist secretariat in 1975, she ran a spirited but losing campaign for the Châtellerault constituency. In 1979, Cresson was elected to the European Parliament. After Mitterrand won the 1981 election, she was appointed Minister of Agriculture, where she encountered the sometimes-violent conservatism of the nation's farmers. Replaced by Michel Rocard (prime minister under Mitterrand from 1988 to 1991), she was transferred to the Ministry of Trade, where she oversaw the industrial restructuring of France the following year. Cresson was appointed Minister for Europe in 1988, when she started to criticize the Rocard government for its right-wing tendencies. Cresson was appointed to the prime ministerial post by President Mitterrand on May 25, 1991. She soon became strongly unpopular among the electorate and had to leave office after less than one year, following the Socialists' poor showing in 1992's regional elections. She has so far spent the shortest time in office for any French Prime Minister of the Fifth Republic. Although often employing left-wing rhetoric, Cresson raised social-security contributions, increased the value-added tax (despite having declared her opposition to indirect tax), and failed to find any solution (other than superficial) to youth unemployment, and frequently made blunt remarks about minorities and illegal immigrants. Cresson was well known for making outspoken and often controversial comments. She was very critical of "Anglo-Saxon" nations and often condemned the culture and people of the United States, Germany, and the United Kingdom. She often described male homosexuality as being a largely Anglo-Saxon "problem" that had little relevance in France, which some considered merely ignorant. Her strong criticism of Japanese trade practices, going so far as to compare the Japanese to "yellow ants trying to take over the world" that some considered her also to be a racist. The Japanese government officially condemned her statements, while Cresson refused to retract her words (she complained about the translation), nor to make any apology. Her political career, promoted by Mitterrand, ended in April 2, 1992, in allegations of corruption. While a European Commissioner, Cresson was the main target in the fraud allegations that led to the resignation of the Santer Commission in 1999. Subsequent to a fraud inquiry the European Commission said that Cresson in her capacity as the Research Commissioner "failed to act in response to known, serious, and continuing irregularities over several years." Cresson was found guilty of not reporting failures in a youth-training program from which vast sums went missing. When Cresson took up her functions, she wished to appoint one of her close acquaintances, Philippe Berthelot, a dental surgeon, as a "personal adviser." Because he was 66 years old, Berthelot could not be appointed as a member of a Commissioner’s Cabinet, and Cresson was advised accordingly. Moreover, when Cresson took up office, her cabinet was already fully staffed, as far as personal advisers were concerned. She asked the administration to consider how it might be possible to appoint him. Berthelot was then engaged as a "visiting scientist" from September 1995 until the end of February 1997. Although appointment as a visiting scientist implies that the person concerned is mainly to work either in the European Commission's Joint Research Center or the services dealing with research, Berthelot worked exclusively as a personal adviser to Cresson. On the expiry of his contract on March 1, 1997, Berthelot was offered another visiting scientist’s contract, for a period of one year expiring at the end of February 1998. His appointment as a visiting scientist thus lasted for a total period of 2.5 years, whereas the rules specify a maximum duration of 24 months. On December 31, 1997, Berthelot requested the termination of his contract from that date, on medical grounds; his application was accepted. Following a complaint by a member of Parliament, a criminal investigation concerning Berthelot’s file was opened in Belgium in 1999. In June 2004, the Chambre du conseil of the Tribunal de première instance de Bruxelles (Court of First Instance, Brussels) decided that no further action should be taken in the case, taking the view that there was no ground for continuing the criminal procedure. On July 11, 2006, in a judgment by the European Court of Justice on Case C-432/04 (Commission of the European Communities versus Édith Cresson), the Court declared that Cresson acted in breach of her obligations as a European commissioner. While the breach of the obligations arising from the office of Member of the Commission calls, in principle, for the imposition of a penalty, the Court held that, having regard to the circumstances of the case, the finding of breach constituted, of itself, an appropriate penalty and, accordingly, decided not to impose a penalty on Cresson in the form of a deprivation of her right to a pension or other benefits. Cresson claimed that where the conduct complained of criminal and disciplinary proceedings were the same, the findings of the criminal court were binding on the disciplinary authorities. However, the Court held that it was not bound by the legal characterization of facts made in the context of the criminal proceedings. Further, it was found that it was for the Court, exercising its discretion to the fullest, to investigate whether the conduct complained of in proceedings brought under Article 213(2) EC constituted a breach of the obligations arising from the office of Commissioner. Accordingly, the decision of the Chambre du conseil of the Tribunal de première instance de Bruxelles that there was no evidence of criminal conduct on Cresson’s part could not bind the Court. Cresson is a member of the Council of Women World Leaders, an International network of current and former women presidents and prime ministers, whose mission is to mobilize the highest-level women leaders globally for collective action on issues of critical importance to women and equitable development. Although Cresson was given every opportunity to serve in a wide variety of French and European governmental posts, including becoming the first French female prime minister, her name will be forever linked to graft and corruption. Her offensive public comments about French minorities and failure to enact much-needed social programs]] while serving as prime minister, as well as missing money and the blatant favoritism she showed a friend during her tenure as European Commissioner, have done much to blight the historic achievement of becoming prime minister. 1974: Deputy National Secretary of the Socialist Party, responsible for youth. 1986-1990, Deputy (Member of the National Assembly) for the Vienne département. In May 1991, François Mitterrand recalled her to replace Michel Rocard as prime minister, but she resigned in April 1992 and was replaced by Pierre Bérégovoy. 1995-1999, European Commissioner for Education, Research, and Sciences. Baldwin, Louis. 1996. Women of Strength: Biographies of 106 Who Have Excelled in Traditionally Male Fields, A.D. 61 to the Present. Jefferson, NC: McFarland. ISBN 9780786402502. Cresson, Edith. 1996. The First Action Plan for Innovation in Europe. Luxembourg, LU: European Commission. ISBN 9789282791103. Liswood, Laura. 1995. Women World Leaders: Fifteen Great Politicians Tell Their Stories. San Francisco, CA: Pandora. ISBN 9780044409045. Opfell, Olga S. 1993. Women Prime Ministers and Presidents. Jefferson, NC: McFarland & Co. ISBN 9780899507903. Europe Cresson: The 'careless' commissioner – BBC News, March 16, 1999. How to Lose Friends and Alienate People – Time, March 29, 1999. Q&A on the Commission’s position in the case of Ms Cresson – July 19, 2004. This page was last modified on 4 July 2013, at 21:05.